The first version of WALS was published as a book with CD-ROM in 2005 by Oxford University Press. The first online version was published in April 2008. Both are superseeded by the current online version, published in April 2011. WALS Online is a joint effort of the Max Planck Institute for Evolutionary Anthropology and the Max Planck Digital Library. ISBN: 978-3-9813099-1-1. The main programmer is Robert Forkel. In a short letter to the press, in which he referred to Mexico, Graham Greene substantially expressed his view of the world. Mexico is a peripheral country with a difficult history, and undeniably the very long border that it shares with the most powerful nation on earth has largely determined its fate. 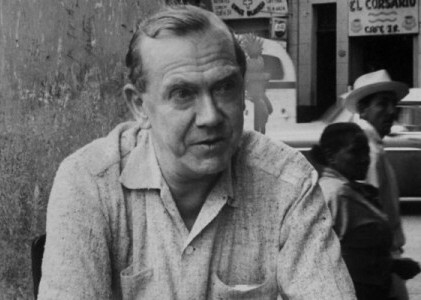 As war approached, he wrote: “Violence came nearer – Mexico is a state of mind.” In “the grit of the London afternoon”, he said, “I wondered why I had disliked Mexico so much.” Indeed, upon asking himself why Mexico had seemed so bad and London so good, he responded: “I couldn’t remember”. And we ourselves can repeat the same unanswered question. Why such virulent hatred of Mexico? We know that his money was devalued there, that he caught dysentery there, that the fallout from the libel suit that he had lost awaited him upon his return to England, and that he lost his reading glasses, among other things that could so exasperate a man that he would express his discontent in his writing, but I recall that it was one of Greene’s friends, dear Judith Adamson, who described one of his experiences in Mexico as unfair. Why? The answer might lie in the fact that he never mentioned all the purposes of his trip. 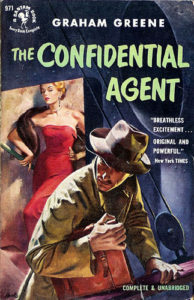 In The Confidential Agent, one of the three books that Greene wrote after returning to England, working on it at the same time as The Power and the Glory, he makes no mention whatsoever of Mexico, but it is hard to believe that the said work had nothing to do with such an important experience as his trip there. D, the main character in The Confidential Agent, goes to England in pursuit of an important coal contract that will enable the government he represents to fight the fascist rebels in the Spanish Civil War, though Greene never explicitly states that the country in question is Spain. The said confidential agent knows that his bosses don’t trust him and have good reason not to do so, just as he has good reason to mistrust them. We, who know Greene only to the extent that he wanted us to know him, are aware that writers recount their own lives as if they were those of other people, and describe the lives of others as if they were their own. Might he not, then, have transferred to a character called D, in a completely different setting, his own real experiences as a confidential agent in Mexico? Joseph Conrad was born to Polish parents in 1857 in Berdychiv, which is part of modern Ukraine. As a young man he spent 19 years as a merchant marine sailing on French and British ships. His years at sea and the various persons he encountered served as inspiration for events and characters in his subsequent literary career. English was his third language (after Polish and French), which imbues his writing with a distinct style. 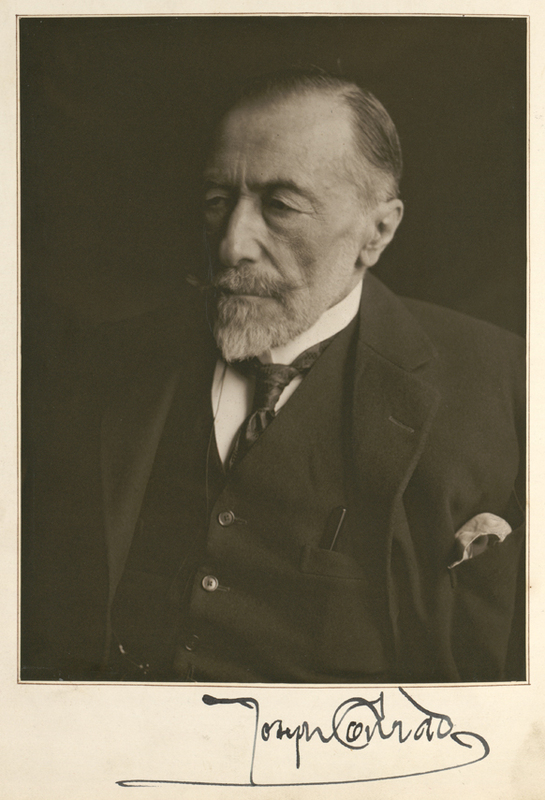 The Joseph Conrad collection contains manuscripts, letters, documents, and photographs. Of particular significance are manuscripts for several of his novels, including Almayer’s Folly (1895), Chance (1913), and Victory (1915). His outgoing correspondence includes letters to Henry D. Davray, Norman Douglas, Henry James, Alfred A. Knopf, and others. Incoming correspondence has been excluded from this online collection due to copyright concerns. This collection was digitized as part of Project REVEAL (Read and View English & American Literature). “Nostromo” is the most anxiously meditated of the longer novels which belong to the period following upon the publication of the “Typhoon” volume of short stories. 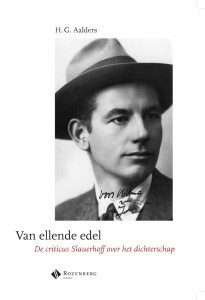 Van ellende edel ~ Inleiding ~ Want wie vond ooit door te zoeken? ‘Vanouds bracht reeds het dichter-zijn met zich mee, het móeten zwerven’, schrijft Slauerhoff in 1925 in een bespreking over Rilke. [i] Behalve het beroep dat hij op de Oudheid doet, valt het op dat Slauerhoff hier twee kenmerken van het dichterschap geeft: de aanwezigheid van een dwingende macht die de dichter in zijn ban houdt, en de geneigdheid van de dichter tot zwerven, tot een reizend leven dat een sedentair bestaan uitsluit. Beide opvattingen heeft Slauerhoff in vers-theorie en vers-praktijk beleden. Zowel de door een demonische macht beheerste dichter, die hem tot scheppen dwingt, ook al wil hij het niet, als de onrustig dolende dichter (‘De dichter gaat de wereld rond’), vindt in het werk van Slauerhoff zijn duidelijkste verschijning in de figuur van de poète maudit.